Everyone has to write a resignation letter at least once in their lifetime. Resignation means quitting from a job position. It is a standard norm to notify the employer before you quit your job as an employee. 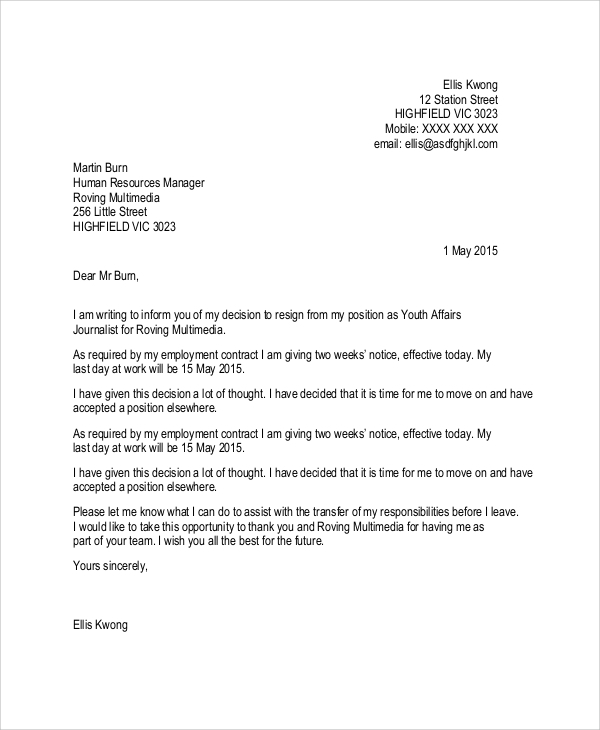 A correctly written resignation letter should have a professional writing approach. It should maintain a proper letter writing format, and it should come with the appropriate reasoning behind the resignation. 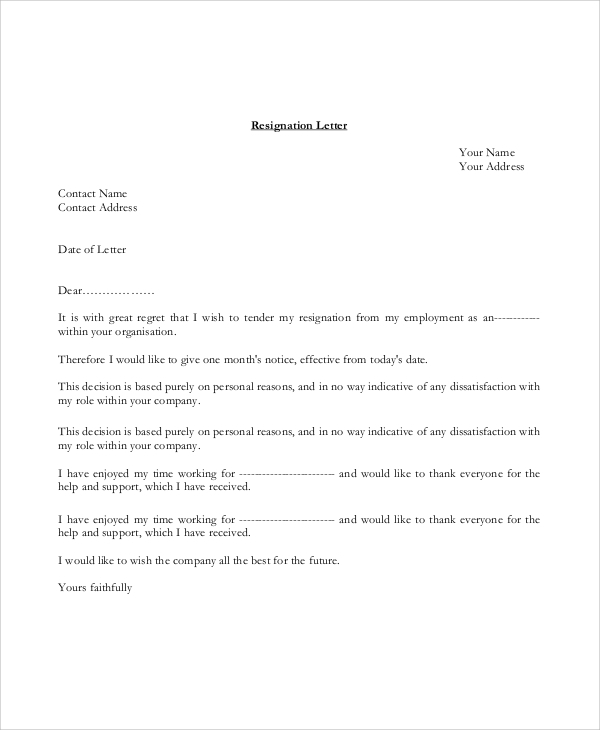 For your purpose, you can use the Resignation Letter Format Example. Using these samples will make the job easier. 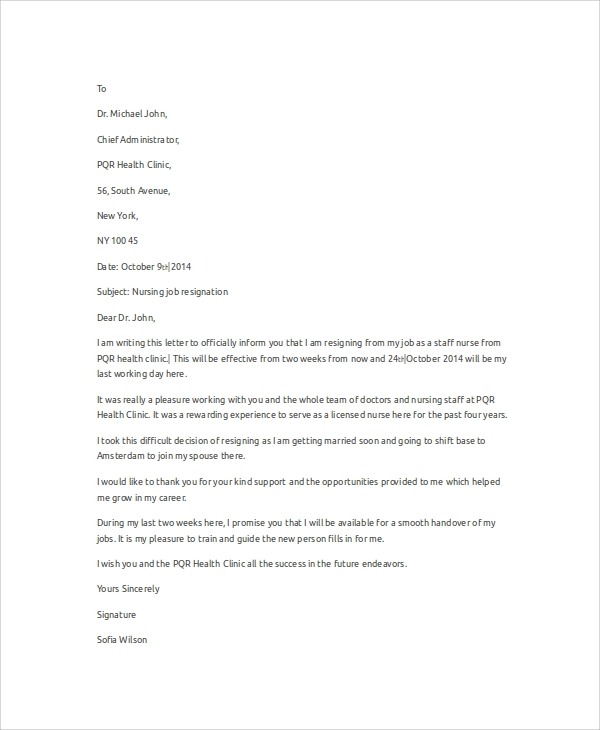 Nursing personnel can use this sample resignation letter to create their professional as well as formal resignation letters. Resignation letter needs to be crafted with precision, showing proper and justified reasoning for resignation. This is a sample for a basic resignation letter. 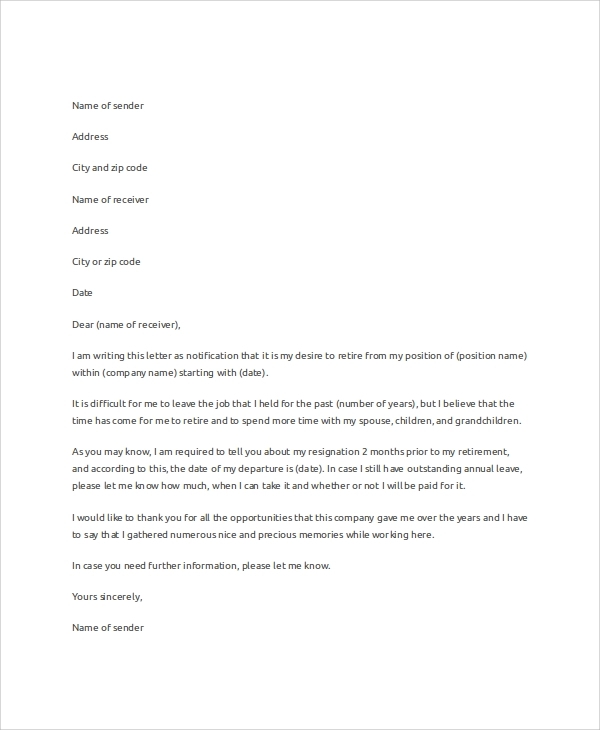 If you do not know how to write a professional resignation letter, you are advised to use this letter sample for your purpose. 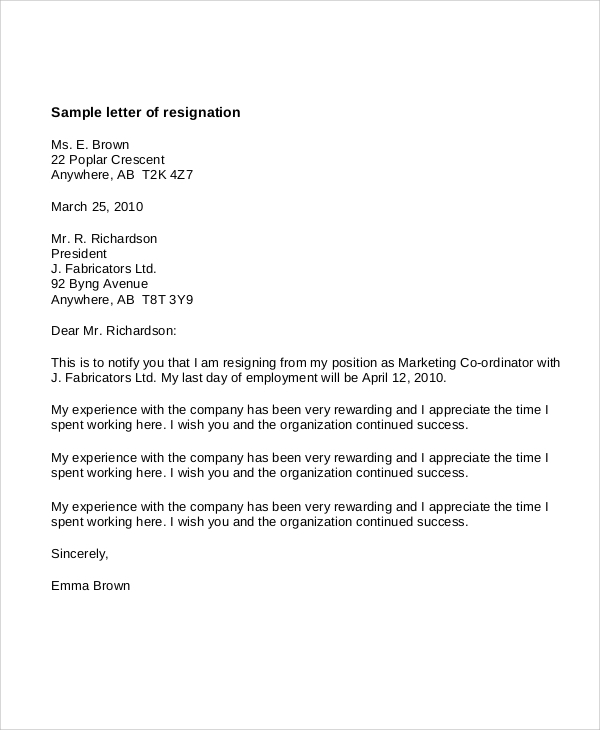 Available in PDF format, this sample resignation letter is useful for any corporate personnel who wants to apply for resignation to pursue a better job or due to some other reasons. Many individuals decide to take voluntary retirement before reaching the age of retirement. They can use this resignation letter sample for that purpose. Available in PDF format, this sample is easy to be downloaded. Before writing your resignation letter, you must know how to craft professional resignation letters. You are suggested to download this PDF sample for that purpose. Print it and customize it to use as a formal resignation letter. At some point in time in our professional lives, we decide to resign from a job post or responsibility that we were managing. Different people take resignation for various reasons. Commonly, in the professional sector or corporate sector, people decide to resign when they get a better job opportunity. In such cases, it is a standard norm to write a formal letter of resignation to the current employer. Many people decide to quit jobs due to some disputes or due to many other reasons. For all these things, Resignation Letter has to be crafted with precision, showing proper reasons for seeking the resignation. Who should Use Resignation Letter Samples? 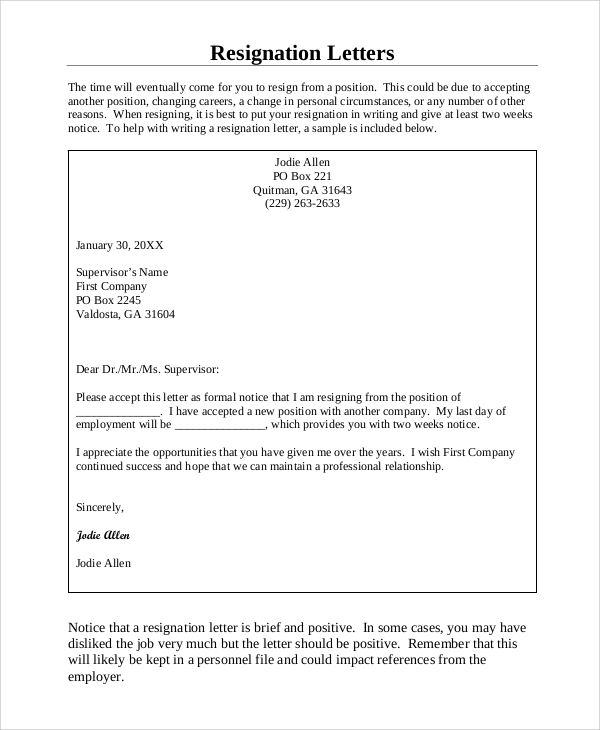 Anyone can use these resignation letter samples. To use them, you only need to download them. 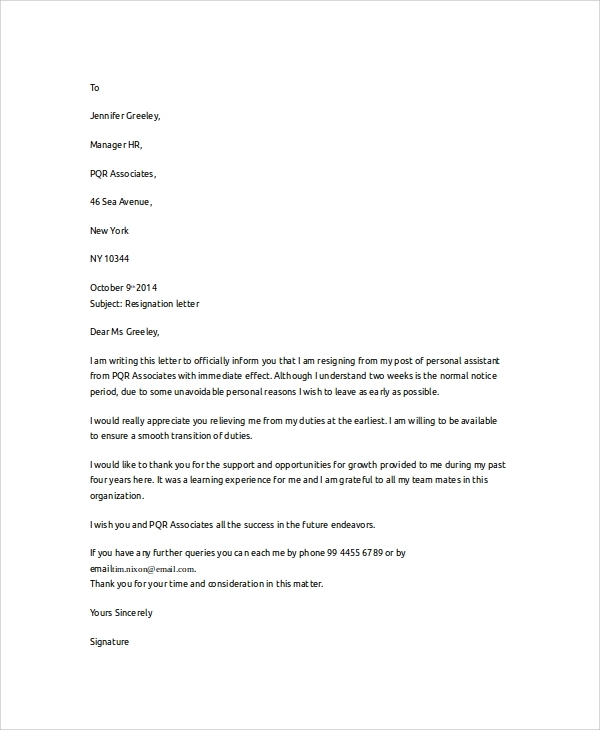 Resignation letter samples are available in PDF or DOCX downloadable formats. They can easily be customized and printed as well. To write a resignation letter with precision, using these samples is a wise choice. It makes things better and simple for you. Different people have to write resignation letters at various points of time in their lives. Not just corporate professionals, resignation letters are written by those who handle some voluntary jobs, like managing the responsibilities of a club or an estate and much more. Writing a letter of resignation is a common thing, though many of us do not know how to write such letters. These letters should maintain a professional tone of writing. They must not sound rude or indecent. To keep the format perfect and to write resignation letters using a professional tone, consider using these Resignation Letter Samples.